No time? No problem! In just a few minutes you can whip up a batch of these white chocolate covered pretzels sprinkled with chopped M&M’s® Chocolate Candies. No rolling. No measuring. No baking. No nuts. No sweat. No kidding! In medium-large bowl, mix chocolate chips with a splash of vegetable oil and melt in a microwave. Do this in 30-second intervals, stirring after each interval until smooth. (Microwaves heat differently, and you don’t want to overcook the chocolate.) Throw a few handfuls of mini pretzels into the melted chocolate and stir gently to coat. 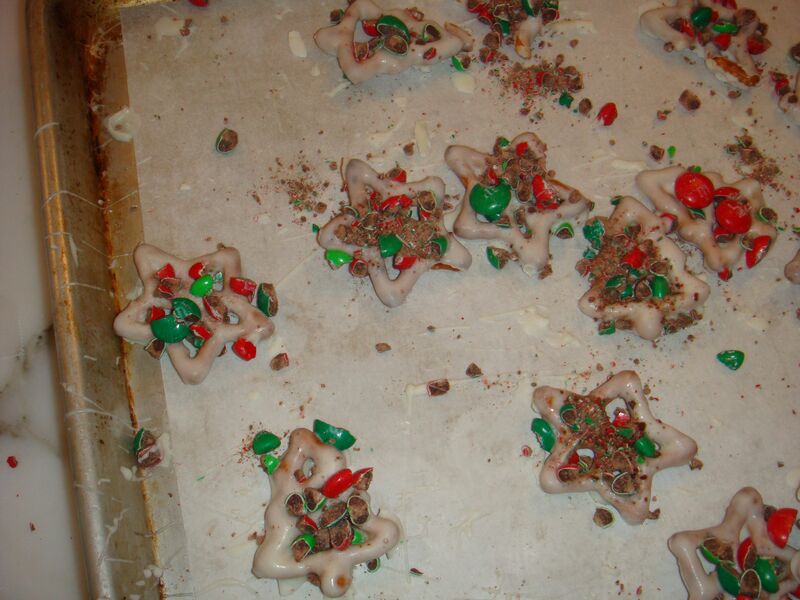 Using a fork, transfer the coated pretzels to baking sheets, arranging in a single layer. Quickly sprinkle with M&M’s® pieces before chocolate sets. 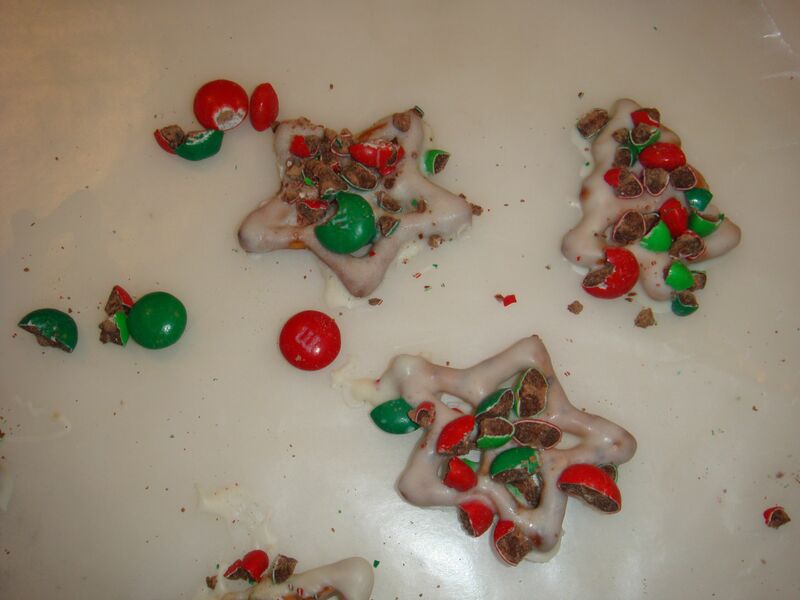 The thicker the coating of white chocolate, the better the M&M’s® pieces will adhere to the pretzels. Repeat as necessary to use up all the white chocolate. This entry was posted in Desserts, Gifts, Holidays and tagged holiday gifts, M&M's, pretzels, treats, white chocolate by subeeskitchen. Bookmark the permalink. Making these tomorrow!! Found the pretzels in the front of the store in Walmart. So psyched! Gonna do a white batch and a milk chocolate batch, per the kiddies’ request. Thanks oodles for the idea! Great! I like milk chocolate too, which is why I add the M&M’s. White chocolate isn’t actually chocolate at all! (only cocoa butter) Good luck! 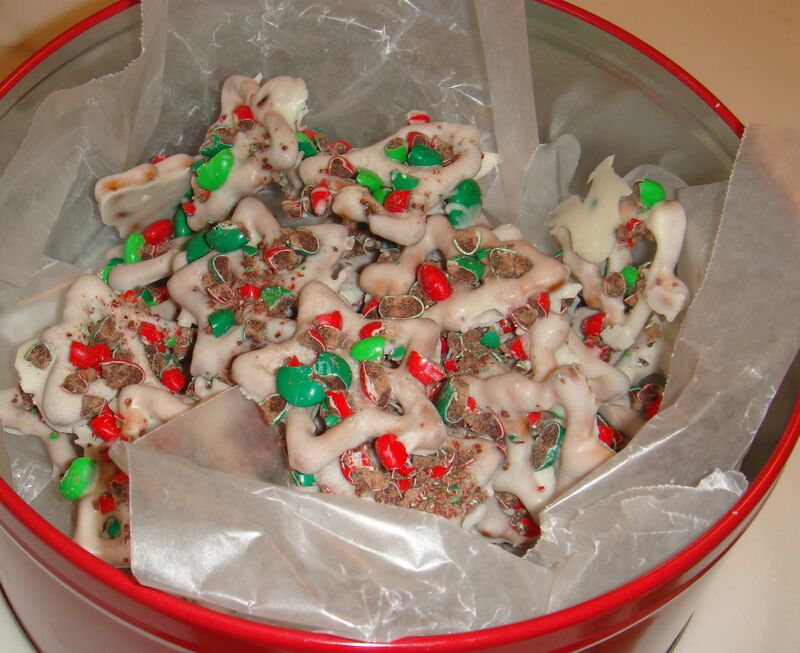 Since Ellie and I love Flipz (white chocolate pretzels) and mm’s too I’m going to have her make these on her own to give and to keep for us. Yum! Snyders now makes christmas pretzels too, sold at Shoprite.